You may have the Eiffel Tower of websites, but if nobody can find it, what good is it? Thats where we come in: with quality marketing and search engine optimization, your customers will find you before your competitors on Google and all other major search engines. 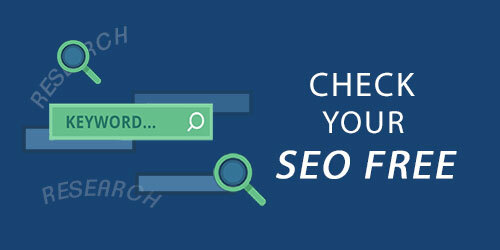 SEO ONE understands the science behind Search Engine Optimization, and how to get it done efficiently. Not only are we experts in creation, we also have savvy analytics folks who work on multiple platforms to track your websites SEO and content, make any updates or improvements, and report back to you monthly. All for one package deal so not only will we optimize your website, well optimize savings as well. Even though you want to be on the first page, have you done what it takes to be there? Your business, brand and website have to earn that right by utilizing the over 200 signals Googles algorithm has for scoring. Did you know? Last year alone, there were over 540 quality improvements to Googles search algorithm. Whether its called Panda, Penguin, or Hummingbird, algorithm changes affect your site. It is a daunting task to stay on top of and that is where we come in. Our team of experts has designed and implemented search engine optimization programs focused on increasing visibility within the algorithmic (natural, organic, or free) search results to deliver high quality, targeted traffic to your website. All our work is custom and handmade. We do not use artificial bots or spam. Indexable Content – To perform better in search engine listings, the most important content should be in HTML text format. Flash files, Java applets, and other non-text content are often ignored or devalued by search engine crawlers, despite advances in crawling technology. Crawlable Link Structures ? Search Engines need to see links in order to find content. A crawlable link structure, one that lets the crawlers browse the pathways of a website, is vital to them finding all of the pages on a website. SEO Keyword Content Writing ? When the site is being designed for SEO, we make sure the content written for the site search engine ready. Keywords and Phrases are already installed as needed, saving time and money. 61% of the clicks on the major search engines occur on the Organic listings, with an 85% conversion rate. Outsourcing to an SEO firm is cheaper, cost effective, and a time-saver over the long term. An ideal SEO campaign couples Search Engine Ranging Positions with strategic online customer targeted marketing.